This outstanding Lodge sits on BC’s beautiful Bowron Lake, offering year after year, of beautiful scenic trails and lakes, a flourishing property, and high tourism traffic. This stunning acreage is an asset sale and embraces BCs wilderness and outdoor activities. The property is situated 25kms from 1860’s Gold Rush town of Barkersville, which maintains over 100 styles of heritage buildings for people to enjoy, and to the town of Wells, BC. 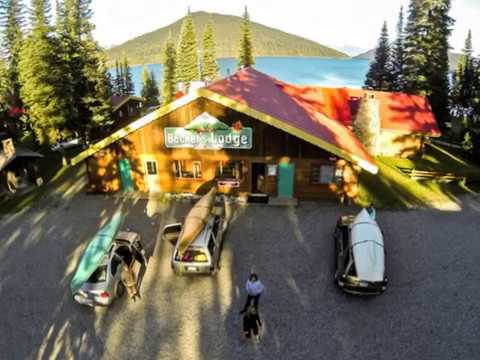 Becker’s Lodge Bowron Lake Resort is an amazing opportunity to own a piece of adventure and take advantage of the property in location, amenities, and services. The lodge is a retreat for families, company trips, weddings, and day trips, just hiking through. People stay in the lodge and cabins, as well as enjoy camping amenities for tents, vehicles, and RVs; 25 spaces for RVs and vehicle camping. There’s an abundance of canoeing and paddle boating through the Provincial Park’s chain of beautiful lakes, and some great fishing and swimming locations. The lodge stands next to crystal clear waters, stunning mountains of BC, and vibrant lush forests, with plenty of beautiful birds and stunning wildlife that enjoy the area. The current benefits from this asset sale are steadily growing year-round with opportunities to increase and grow with future developments.